Olomu Adetimo made the appeal in an interview with CityMirrorNews in his palace in Ijaregbe on Wednesday. 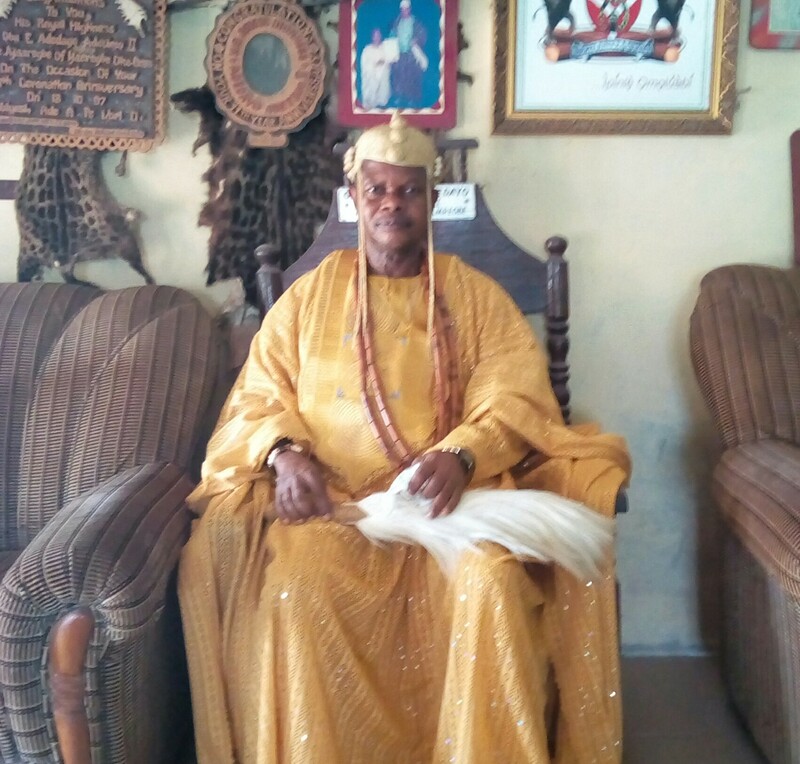 According to the traditional monarch of the ancient community, no recognition is given to Olomu of Ijaregbe as the State Government did not follow traditional history. “If they follow history, Olomu is supposed to be graded in recognition of his historical past before most of the monarchs in Osun State”, he stated. He supported his claim with the Ijesa North Traditional Council publication where it was stated that the serene, rural community was founded by Olomu Aperan, who was a son to Lamurudu, brother of Oduduwa whom he (Aperan) accompanied from Egypt to Ile-Ife on migratory trend and became the Army General with his ogbo magical sword with which he prosecuted several wars successfully. The monarch noted that about 16 Omus migrated from Ijaregbe which included Olomu of Omu-Aran, Olomu of Omupo in Kwara State, Olomu of Omuo in Ekiti State, Omu-Ijebu in Ogun State, Omu-Iseyin in Oyo State. Olomu of Omu-Aran for instance that migrated to Kwara State over 500 years ago has been a First Class monarch while Oke-Omu which changed name to Ijaregbe due to historical exigency remained unrecognised. He therefore appealed to the Osun State Government to consider traditional historical settlement and evolution of Ijaregbe and accord Olomu his rights and privileges as an ancient settlement that settled before others in the whole of Ijesa North Area of the State. Oba Adetimo who ascended the throne if his forefathers on October 17, 1986 and has since then been living within the town permanently in order to feel and agitate for the needs of his people called on the sons and daughters of the ancient community in Nigeria and diaspora as well as other Omu communities that has their roots there before migrating to come and develop Ijaregbe as land is available to establish industry as well as any enterprise if their choice.. Crying out to the Obokun Local Government and Osun State Government not to marginalize Ijaregbe as an ancient settlement, Olomu Adetimo said that the cultural monuments available in Ijaregbe stands out the town as tourist potentials to attract the earlier migrants to their roots as well as promoters of culture from different parts of the world. Oba Adetimo appealed to his subjects to take part in active politics in order to accelerate the development of their community. He advocated pan-Omu meeting like the Owus in Nigeria as he disclosed that he once discussed it with the former Military Administrator for Bauchi and Osun States, Col. Theophilus Oladapo Bamgboye(retd.) and he is still hopeful of its realization in due course. Thus, he promised to pay a visit soon to the new Olomu of Omu-Aran, Oba Abdulraheem Oladele Adeoti (Olomu Efon 2) as he disclosed that he was the first Olomu of Ijaregbe to visit Omu-Aran in 1997 when the people of Omu-Aran gave him a rousing welcome with funfair and pegeantory. The monarch disclosed that the community has also embarked on the construction of a police station and maternity hospital through communal efforts as they know that Government alone cannot provide all things.